National Martini Day is apparently celebrated each year on June 19. I tried to research this holiday and was unable to find the creator or origin of National Martini Day — but that’s not going to stop us from toasting it! While we aren’t big drinkers, on the occasions that we do drink, Steve and I both enjoy a martini. 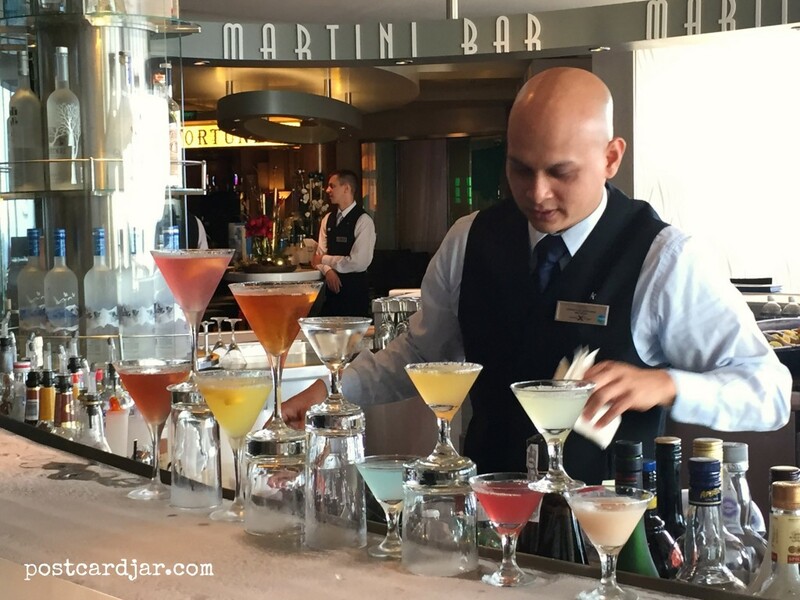 One of our favorite places to enjoy martinis is at the Martini Bar on Celebrity Cruise ships. We’ve been on two cruises (so far) and enjoyed visiting the the ice-topped bar with the most amazing bartenders — some who can pour 10 or more drinks at once (yes, we have video … wait for it). 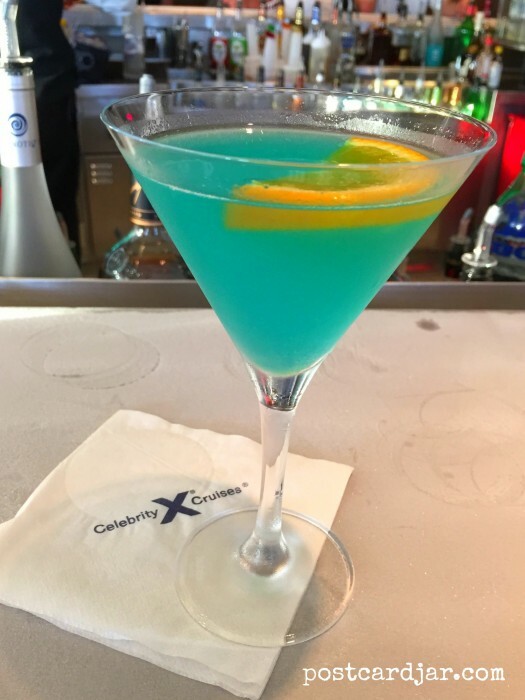 We once took a 4-night cruise aboard the Celebrity Constellation and one of our first stops after boarding the ship was the Martini Bar. It was there that we met flair bartenders Putu and Alin. Not only could they make outstanding cocktails, they were also among the most entertaining people on the ship. These two were true professionals. They tossed bottles behind their backs, balanced glasses on their heads, and somehow, took 10 drink orders and poured them at one time while passersby stopped in their tracks to see the feat. Check out the video below to see how Putu set this up. Then … are you ready for this?? He jumped up onto the counter behind the bar and carefully poured all ten drinks at one time. Check out my mom’s reaction in the background! Now, that’s impressive, don’t you think? While Celebrity Cruises might be a top spot to sip a martini, we’ve had excellent martinis other places that are worth mentioning. Shake over ice and serve “up” in a chilled, sugar rimmed glass. Garnish with frozen raspberries. Lightly stir in tall glass with ice. Serve “up” in chilled glass with a lemon twist. 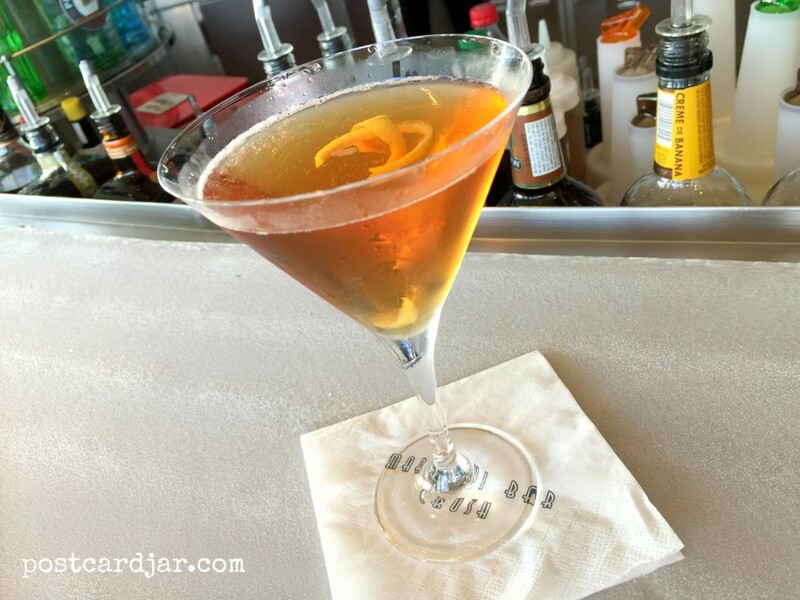 What originally began as a cocktail made with gin and vermouth and garnished with an olive or lemon twist, has grown to become one of the best-known alcoholic beverages. Today, you’ll find a variety of gin and vodka martinis on most drink menus, including popular varieties like the dirty martini, cosmopolitan, lemon drop, and apple-tini. Martinis are typically served “up” in a chilled martini glass but can also be served “on the rocks” (over ice) in an old-fashioned glass. Fictional spy James Bond sometimes asked for his vodka martinis to be “shaken, not stirred,” but we’ve learned that there are certain martinis, like the Perfect Rob Roy, which are best delicately stirred. What is your favorite martini? Do you prefer it up or on the rocks? Let us know — we’d love to hear from you. And please, drink responsibly and NEVER drink and drive. Cheers! Note: This post reflects our true experiences and opinions. 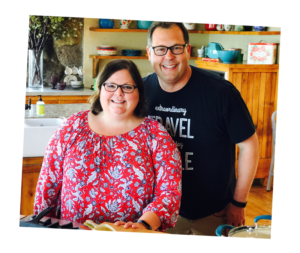 We received no compensation or free or discounted goods/services from any business mentioned in this post. 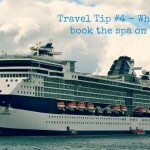 Travel Tip #4 - When cruising, book the spa on port days.